What happens in Vegas, stays in Vegas. But what happens at Two x Two First Look — well, we’re going to spill some details. The anticipated preview party for the annual gala and contemporary art auction is always a highlight of the fall social season, but this year’s “Rat Pack” theme took the celebration to another level. 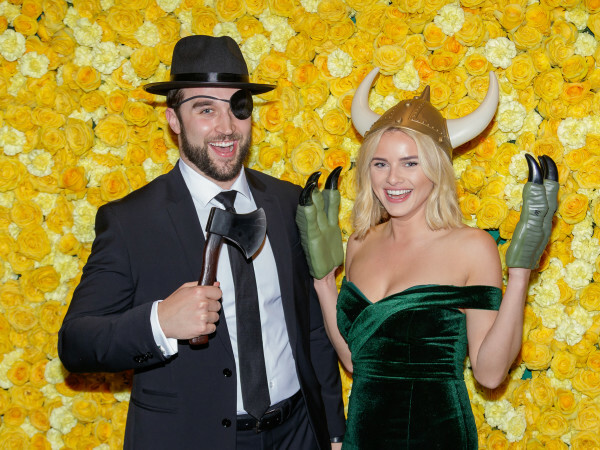 Although the theme was rather loosely interpreted — there were check-in girls in flapper headdresses and guests in ’70s costumes — that fun-loving Sin City vibe permeated the atmosphere in the Rachofsky House backyard. 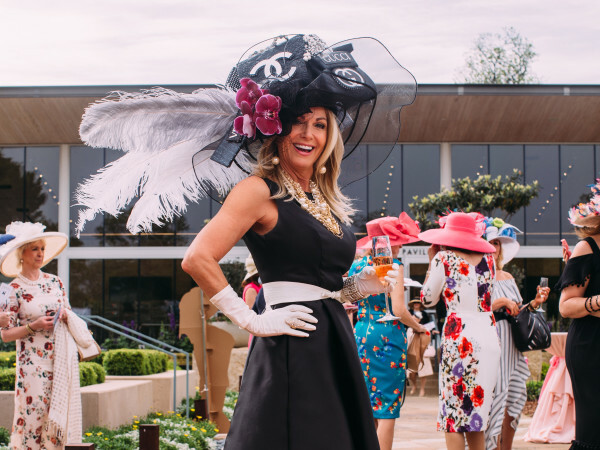 Co-host Cindy Rachofsky pulled it off best: basic black topped with a sky-scraping showgirl headdress. The night had all of the above — and then some. Between sips of Belvedere cocktails and bites from a hedonistic menu of steak au poivre, seared scallops, risotto and sushi by Lombardi Family Concepts, guests hit the dance floor for a performance by Drag Race winner Chad Michaels, who perfectly channeled Cher circa her “Believe” period. Guests, who were given chips upon arrival, milled around gaming tables to play blackjack, spin the roulette wheel and shoot craps to an all-killer-no-filler soundtrack spun by DJ Lucy Wrubel. Another chip allowed attendees to take home a stylish new timepiece from event sponsor Tory Burch Watches for Fossil Group. 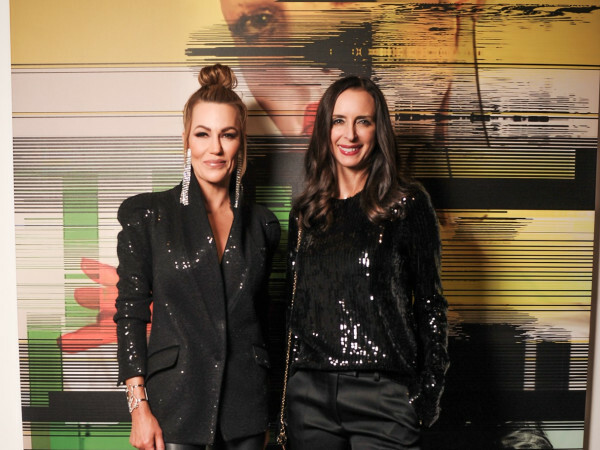 But, of course, the whole goal of the evening is to provide an up close and personal look at this year’s covetable works of art; they’re the reason Two x Two has remained the largest U.S. fundraiser for amFar and the Dallas Museum of Art to date. Gallerists Talley Dunn, Wanda Dye and Ree Willaford perused their favorites, but the clear crowd-pleaser was Jeff Koons’ Dom Pérignon Balloon Venus at $32,000 in bids (and counting). Two x Two’s synthesis of society and accomplished artists is what makes it a must-attend, a fact noted by the Dallas Contemporary’s new director of exhibitions/senior curator Justine Ludwig, who recently relocated to the city. Other high-rollers in the house were John Benjamin Hickey, Jacqueline and Maxwell L. Anderson, Brian Bolke, Elaine Agather, Jenny Kirtland, Rajan Patel, Nancy Rogers, Lisa and John Runyon, Jeremy Strick, Megan and Brady Wood, and Gavin Delahunty.